Do you have any information about the legal protection of a single member LLC in Illinois? Do you have any information about the legal protection of a single member LLC in Illinois? I was asking because someone told me that the single member LLC in Illinois doesn’t have any type of protection from the legal point of view, but the multiple members LLC does have legal protection from your assets. Also, how can I get a resale number in Illinois? I am buying blank items, then I embroider them and sell them in my shop, but some suppliers are asking me for my resale number. Our Response: The LLC provides protection between your business and personal assets. The LLC is a separate legal entity, so in the event of the LLC being sued, your personal assets should not be at risk, provided the LLC activities weren’t negligent, etc. There isn’t any differentiation between a single vs multiple member LLC. The same form is filed regardless of how many people are a part of the LLC. There are some states that do not allow single member LLC’s but Illinois does. When you signed up for the Illinois business tax number, you would have received a 8 digit number and resale certificate which allows the vendor to not collect sales tax. 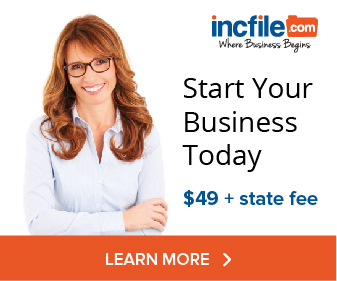 Some vendors will just ask for the number, others will want a copy of the certificate and some may have you fill out a form –http://tax.illinois.gov/taxforms/sales/crt-61.pdf. One member of a two member LLC received a 1099 payment. The check and 1099 was made out to the member personally – not the LLC. Can this “personal” 1099 be included in the LLC as income? One member of a two member LLC received a 1099 payment. The check and 1099 was made out to the member personally – not the LLC. Can this “personal” 1099 be included in the LLC as income? The payment is related to the LLC’s purpose and mission. Answer – The short answer is yes, but it’s not recommended. LLC’s are typically created to separate business and personal assets. Even though the work may have been legitimately for the activities from the LLC, may call that separation into question should there be an audit. 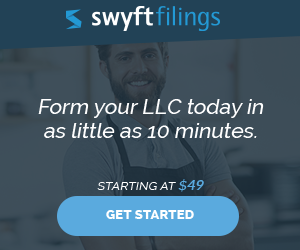 Should the LLC ever be audited or sued, several factors will be evaluated, one of which is including the separation of business finances from the owner’s finances. This point becomes more important if the LLC is taxed as a corporation vs partnership or sole proprietorship. You have two options for endorsing the check that was paid to the partner rather than the LLC. Write “For Deposit Only” along with the LLC’s name and account number. This is considered as a restrictive endorsement where the check can only go through the LLC’s bank account under your name. Write “Pay To” along with the LLC’s name and having the partner sign their name. This is called a special endorsement where you are essentially giving the check to another “person” (in this case the LLC) to deposit in this other “persons” account. While this isn’t ideal, the funds can be deposited with the LLC. Just try to not make it happen often so the LLC’s liability protection isn’t put at risk. My husband and I are business partners, and we also have some real estate. Our business is an S corporation, but my husband insists on getting everything under an LLC corporation, so far our relationship is fine, but we had divorce attempts in the past, so i would like to know if doing these changes will affect me in the event of a divorce.Thanks! Divorce and ownership of assets is extremely complex, and the law is state specific (community property vs. non-community property states and so forth). As a general rule, the titling of assets acquired during the marriage does not affect property division in the event of a divorce. Changing the titling of assets acquired PRIOR to marriage (e.g. separate, non-marital property) can convert separate assets into marital assets. Therefore, it matters when these business assets were acquired. You will need a local attorney on this one.